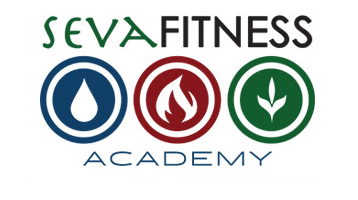 My journey with Seva Fitness Academy is ongoing. It has been 3 1/2 years since I took my first Human Fit class with Eric Romanak and I am just now beginning to feel that maybe I am on my path to being an athlete. The thought that I would ever even possibly want to be an athlete never entered my mind. But after meeting Eric and becoming the first ever Seva Fitness Academy scholarship winner many of my life views and experiences have changed. When I was first working out with him I took one private lesson and one Human Fit group class a week. After the scholarship year was over, he encouraged me to branch out and try new and different things. I ventured into yoga with Julie Folsom and loved it. It really helped balance out my exercise regimen. After a while I added in a ReBoot class and was still working out with Eric privately. I have switched things up more and more over the years and now I do three group classes with Eric a week. I work out privately with two of Seva’s other trainers, Natalie Brelsford and Dustin Lynn and still try to take a yoga class with Julie Folsom whenever my schedule allows. It has been slow and steady building up my strength and abilities. I personally love weight training and kickboxing as well as yoga. But my favorite thing about working out at Seva Fitness is that it never gets old. There are new classes and more challenges all the time. I now exercise at Seva between 3-5 times a week. It is a challenge sometimes to get there because I have Fibromyalgia and suffer from Depression. Both of these things can undermine my ability to work out as often or as intensely as I would like. But all the trainers at Seva are very wonderful to me and are patient with my needs and limitations. 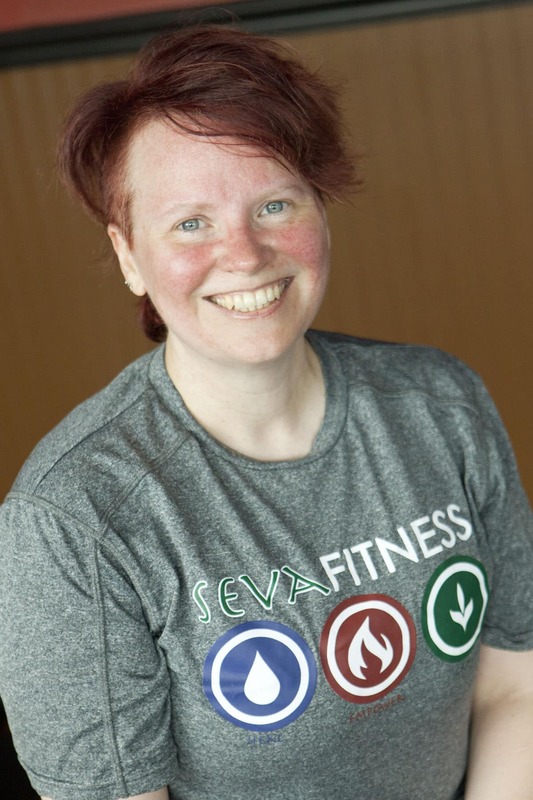 I have taken many different classes over the years at Seva and have worked out with most of the trainers there. I have also added working with Julie Folsom as my nutritionist which was quite a challenge for both of us. I am vegan so she really had to re-evaluate what she would normally suggest changing in my diet to accommodate that fact. She has worked diligently to help ensure I am getting the nurtrients and protein necessary to live as healthy as possible and have the energy and stamina to work out as much as I do. The key element I have learned about all the trainers at Seva Fitness Academy is their desire to help each client beginning where they are and to help them get to where they want to be. Each person is on his or her own journey and needs very individualized help with that. That is what makes Seva different from other facilities. There are no cookie cutter ideas about how to get from point A to point B. So whatever is going on with me I am able to discuss it with my trainers and they can change up the workouts to suit where my body is at on any given day. I wouldn’t have been able to stick with this journey this long if they weren’t there for me every step of the way.